You invest a lot in your Mercedes-Benz, which means you want only experienced technicians handling all the necessary Mercedes-Benz maintenance and repair. While dealerships want you to think they are the only ones qualified to take care of your car, there are benefits of using an independent Mercedes-Benz repair shop versus the dealer. Many dealerships offer a number of luxury car brands for sale, which means their service staff has to complete repairs on a number of makes and models. This makes it difficult for them to focus on a specific make. 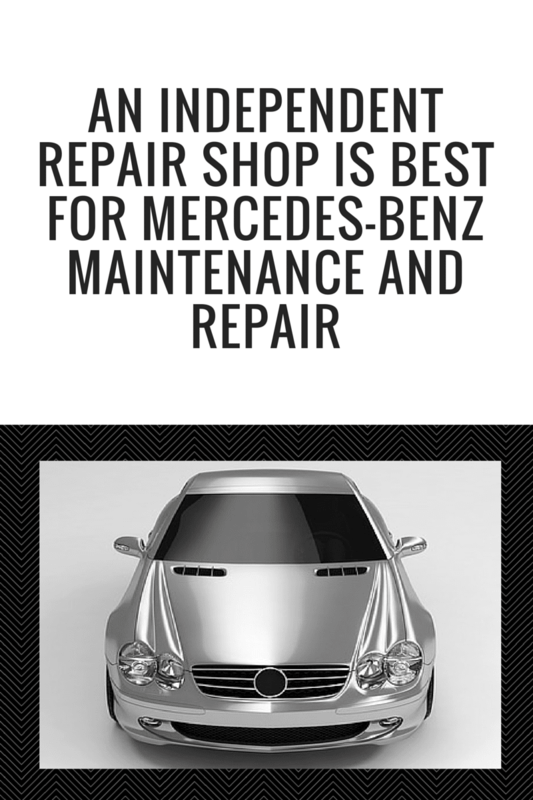 Instead, when you turn to a specialized shop for Mercedes-Benz maintenance and repair, you can count on working with technicians who have been trained exclusively on Mercedes-Benz cars. They work with these luxury cars every day, allowing them to fully understand the intricate details of the various Mercedes models. Even though your vehicle is designed just like every other car from the same model and year, it will develop its own personality over time. If you take your car to the dealership, someone different will likely work on your car each time. However, if you choose a qualified independent Mercedes-Benz repair shop, you will receive the personalized attention you need and expect. Their technicians will know your car well and may be able to get to the bottom of the issue more quickly. One of the biggest benefits of using an independent Mercedes-Benz repair shop versus a dealer is their ability to save you money. Many dealer technicians work on a commission and will try to sell you parts and services you may not really need. Your independent repair shop technicians are paid on an hourly basis and will thus be able to fully focus on the repairs and services you need and nothing more. In addition, independent shops typically use quality original equipment parts, which tend to cost less than the manufacturer parts dealerships use. 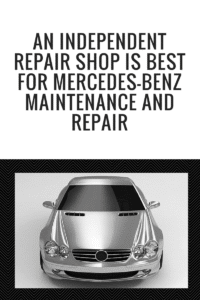 An independent shop for Mercedes-Benz maintenance and repair is often more convenient than your dealership. Dealership locations are often few and far between, which means you have to travel greater distances every time you need assistance. Independent auto repair shops can be located in more convenient neighborhood locations so you can easily drop your car off and still make it to work or back home. You’ve made a large investment by purchasing a Mercedes-Benz, so you want to know it’s well cared for. While the dealership wants you to think they are the only option for quality service, a qualified independent Mercedes-Benz repair shop can be a better solution. Once you realize the benefits of using an independent shop over your dealership, you won’t take your car back to the dealer until it’s time for a new one. If you’re looking for experienced technicians to take care of your Mercedes-Benz, contact us. We can provide the services and repair you need in the Bay area.